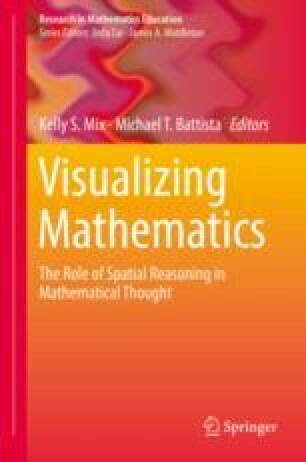 A multitude of factors affect mathematics learning: motivation, anxiety, gender stereotypes, working memory, teacher practices, teacher knowledge, and many more. Recently, spatial thinking has emerged as one of these factors. This conclusion was based initially on concurrent correlations but is now also supported by longitudinal studies with controls for other determinants, such as verbal intelligence and executive function (e.g., Frick, 2018; Verdine, Golinkoff, Hirsh-Pasek, & Newcombe, 2017; Zhang & Lin, 2017). Even stronger evidence is beginning to emerge from randomized control experiments that can evaluate true causal relations, i.e., whether interventions to support spatial thinking have downstream effects on mathematical achievement in comparison with an appropriate control group. Not all randomized-control studies show positive results, but enough of them do to encourage optimism (see review in Newcombe, 2017).